A 21st century Trojan Horse is being planned for a developing suburb of Helsinki. But instead of containing a conquering army, this wooden construction aims to infiltrate Finnish society at large with a catalogue of new ideas and innovations, in one of the clearest demonstrations to date of strategic design. The Trojan Horse in question, known as Low2No, is a mixed-use block planned for Jätkäsaari to the west of the city centre on the site of a vacated container port, where other imaginative developments are already under way. 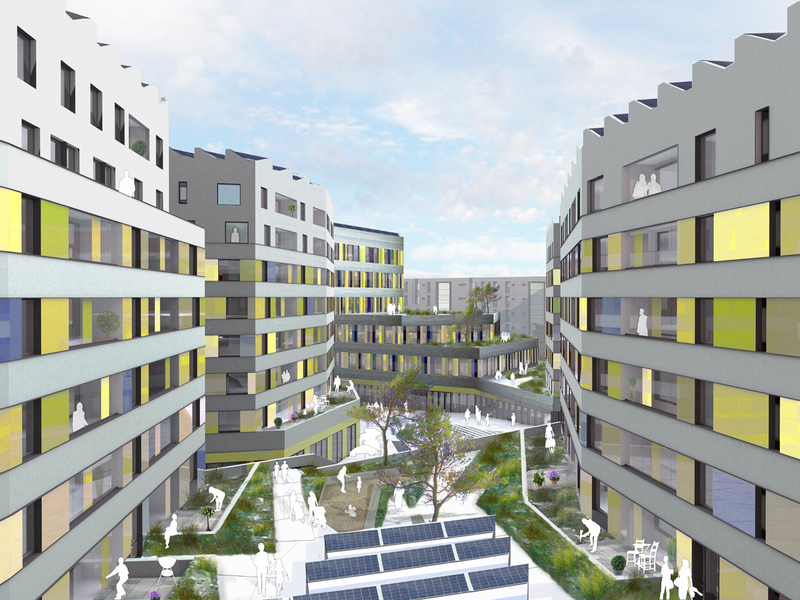 Low2No refers to the project’s model for reducing carbon emissions towards a zero level target – from low carbon to no carbon – and it shows how Sitra is keen to put its money where its mouth is when it comes to the concept of sustainable well-being and strategic design. Apart from housing Sitra’s new HQ, 150 apartments, retail and other amenities, the block will realise various sustainable features, including the fire-safe use of timber – a plentiful Finnish commodity – as the main material for much of the multi-storey construction. “The traditional understanding of design is of brands and products, with the design process usually inserted at the end of the process chain,” explains Dan Hill, a member of Sitra’s four-strong Strategic Design team. This doesn’t mean that traditional design, for which Finland is rightly renowned, is any way relegated or downgraded. If anything, it means expanding the idea of design in general and integrating it into decisions that affect everyday life. Dan Hill says that under Sitra’s way of thinking, designers should act as stewards, shepherding a project right the way through to its execution: “The normal evolution cycle for products such as cars or smart phones is one of constant improvement, but governments and local authorities often don’t or can’t work that way. As another example of strategic design, Hill cites Helsinki Design Lab, a Sitra project that attempts to “advance strategic design as a new discipline in tackling the problems of the interdependent world”. A new book entitled In Studio: Recipes for Systemic Change (co-authored by Bryan Boyer and Justin W. Cook with Sitra’s Director of Strategic Design Marco Steinberg) describes the work and conclusions to date of three HDL studios, dealing respectively with Education, Sustainability and Ageing. The Low2No block at Jätkäsaari has been attracting excitement worldwide, not least from some its prospective service providers, each of them approached in advance on the basis of their progressive business models and empathy for sustainability. “On the face of it, it may just look like another building project, but we are actually trying to send ripples of systemic change through Finnish society and business,” says Hill. Dan Hill joined Sitra earlier in 2011 but was previously involved in the Helsinki Design Lab’s Sustainability Studio and Low2No as a designer at the design and consulting firm Arup. His other major projects have included Monocle magazine and the design of the BBC’s much admired website and services.